Existing customers, you can earn £5 FREE credit today for every successful referral! It's that easy! Just follow the steps below and earn £5 FREE credit with our fantastic Refer a friend programme. Refer your friends and family to Lycamobile and, once they sign up and top-up their new FREE SIM cards, you will receive £5 FREE credit! The more friends you refer, the more credit you will receive. Plus, there are also a host of further benefits still waiting to be had with Lycamobile, such as unlimited FREE Lycamobile to Lycamobile calls and texts within the UK, high-speed 4G data, low-cost plans and add-ons and much more! When you click on the "Refer a Friend" tab, choose the country in which your friend lives and then enter your friend's email address. New to Lycamobile? - Order FREE SIM. You will receive £5 FREE credit directly to your phone within 24 hours after your friend successfully tops up their account. Lycamobile’s Refer a Friend programme will allow every active customer to refer someone to use the service. The referrer will be able to benefit from every successful referral. Referee means a new Lycamobile customer who starts using the service by successfully topping up the account. Referral credit means credit which Lycamobile gives to its active customer for successfully referring a new member to Lycamobile. You may either send an email invitation to a Referee’s email address or you may send a SIM card by post directly to a Referee’s postal address. If you order the FREE SIM card directly to the Referee’s address, you must have their consent and have the right to access their details including email address and delivery address. The Referee must be new to Lycamobile and must have a genuine interest to continue using the service by topping up their balance – details below. Once a Referee has successfully topped up their new FREE SIM, the referrer will receive a text message confirming that the referral has been successful. Within 24 hours of receiving the above text message, the referrer will receive the referral credit. The referee must enter the Referrer’s Lycamobile number and the country they live in at the time of ordering a SIM via the online SIM order page. Details passed on in other ways will not be accepted and the referral will not qualify as a successful referral. 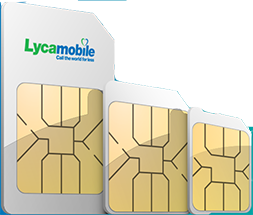 All SIM cards sent using this service will not include any credit unless they are purchased with credit via the Lycamobile online SIM order process. All qualifying SIM cards will be delivered to the Referee’s address 3 to 7 working days from the order date. However, delivery turnaround time cannot be guaranteed as other factors outside of our control, such as adverse weather conditions, may affect the delivery. Lycamobile will not take responsibility for the loss or damage of the SIM cards. Referrer must have an active Lycamobile account and must remain as a Lycamobile customer for a minimum of 45 calendar days from the date sign up in order to be eligible to claim the referral benefits. The referrer must have done a minimum top-up of £10, 10€, $10, 100 Kr or 10 z?. Lycamobile reserves the right to void any referrals or Referral Credit if it suspects, in its sole discretion, that: any Referrer or Referee does not meet the programme criteria, has engaged in a fraudulent activation or, has violated any of these terms and conditions or Lycamobile’ s standard prepaid mobile service terms and conditions. Lycamobile may end the programme or change any of the terms and conditions. 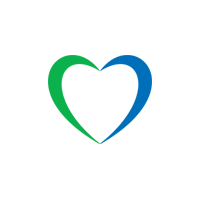 Lycamobile will notify you in advance by updating this page at least 30 days before the change.